The Cycling Lawyer: Rights to privacy - am I invading them? Rights to privacy - am I invading them? We have been hearing a lot in the press lately about the tension between the individual's right to privacy, enshrined in article 8 of the European Convention on Human Rights, and the right to freedom of expression (article 10). One vehicle driver (pictured) has got somewhat agitated about it on my youtube channel. Whether effective action ever results I do not know. 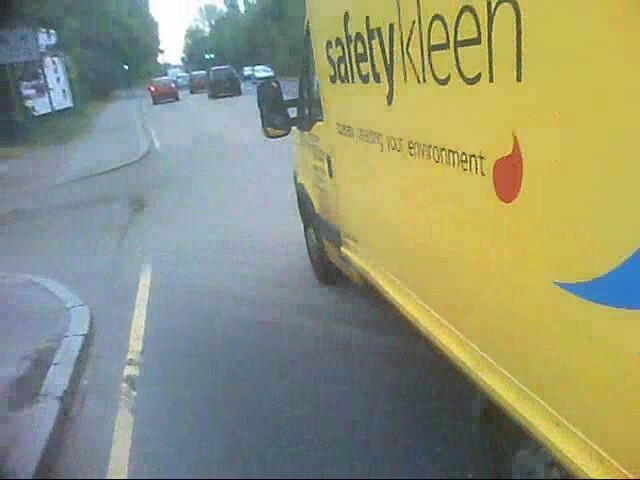 'Easykleen' have declined to tell me the results of any internal disciplinary process there may have been on the grounds of the driver's confidentiality. Prosecutions in the absence of actually knocking a cyclist off are unheard of. Statistically we face greater dangers at junctions. However as cyclists we have no real control, other than through assertive positioning which is at best only a partial answer, over the vehicles which pass us too closely. I am sure this behaviour drives many would be cyclists from the roads. So do I have any qualms about 'invading your privacy' when you choose to drive inconsiderately around a cyclist on a public road? No, I do not. It was my understanding that the road is the public realm and as such there is no right to privacy. You are correct, Hex and the driver is wrong. Nobody can have a reasonable expectation of privacy on a public road. I used to get this when out with my SLR. I know guys stopped under the stop and search/anti terrorist laws for taking photos in public (Amateur Photographer mag and the Telegraph carried some reports on this, esp in London). You'd have to stop what you were doing (usually photography something no one else would even be remotely interested in like a flower, insect or old building) and have a polite discussion with said objector. As far as I am concerned if someone leaves comment on my videos that I somehow abuse someones rights I tend to delete the comment. It distracts from the point - the fact that life is endangered, a far more important issue as you yourself have pointed out. I also find it amazing how the law breakers of the world seem to want to scrub the evidence via way of "privacy". It is not privacy they are worried about - they've been caught out and they know it. Perhaps slightly 'off-topic', but there seems to be a common mis-conception that the Human Rights Act applies to private individuals. Unless I am mistaken, HRA applies only to state bodies and those individuals acting on their behalf. Therefore, only a government employee (or someone acting on that basis) could breach an individual's right to privacy under ECHR article 8. Whatever you might be accused of when filming in public, you most definitely cannot be accused of breaching a person's human rights. Constantly amazed at the lack of action by Employers who advertise themsrlves but allow "sub species to drive and thus display their product" ! You take the time to advertise your company on your vehicles in the hope it will bring more business to your enterprise ! Allowing for the fact that you are not in the vehicle , you are going to be the person standing in the "dock" together with the driver of vehicle plate no:"**** *** **" when they suceed in killing / maiming another cyclist ! 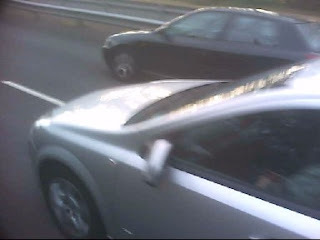 At (time) on route(**) your vehicle attempted to hospitalise myself and another witness to their sub standard driving . Should you wish to persue this matter you will find a report lodged at (*** Police station) and they will no doubt be willing to accept the name and details of your driver . Ask your drivers to think of other road users especially Cyclists and Pedestrians as they would their OWN family . Awaiting your early reply . " Of course being in Austria and Italy i have had to get translations made . Thus there are no excuses for the employer to ignore my efforts . More cyclists doing this will send a clear message to the "driving community" that the employer is RESPONSIBLE for the actions of their employees . Corporate Manslaughter is now considered a legitimate charge these days and Enterprises large and small are becoming more aware of their responsibilities . Doubt the CPS would let off a company where several of their vehicles have caused Death ! The Bristol Traffic team checked this with the Information Commissioners office, after the NHS van driver blocking the bicycle contraflow and stopping a parent and child from getting to school got threatened with a lawsuit. Exposing the endangerment of others is in the public interest, bad driving kills and maims and should not be tolerated. Bristol traffic, it's not about confrontation, it's modifying bad driving behaviour. Whilst you may get somewhere with a business vehicle by contacting the employer who may take it seriously and may give the driver a ticking off and may tell them to shape up, with private vehicles what happens? Who youtube searches their car reg each night just in case they've made a mistake on the road? You tell the driver ASAP what they have done wrong and ask them not to do it again. 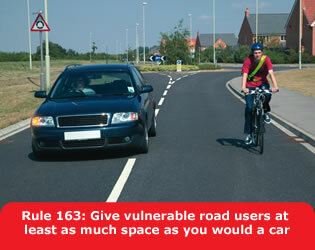 I believe many drivers genuinely have no idea they've done anything wrong "whats rule 163?" Difficult to do in a calm manner when you've just been scared witless and drivers tend to be hypersensitive about criticism, so yes the situation can easily escalate. If the drivier is willing to discuss the matter I will, if I see the redmist descending on them I'll ride/walk away and leave them well alone. @BristolTraffic - perhaps the correct response would be to agree to not post a recognisable image of the driver on the website but inform them you will be sending it to the Police and their employer instead? Then post an image of them with a d%ck covering their face? 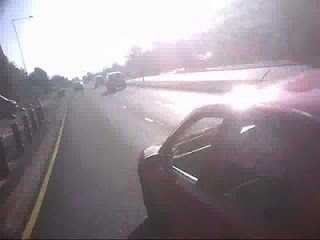 @Donk - while I think your comment is probably true about the majority of cycling scrapes we encounter (and good on you for believing in human nature! 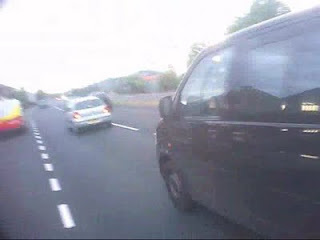 ), 'professional' drivers who flaunt the law in this way will not take kindly to 'a bloody cyclist' telling them off. Putting the onus ontot their employer either directly or through bad publicity will have much more effect. 1. Type in "eagle coaches"or "Nisa today driver". We own the brand links. 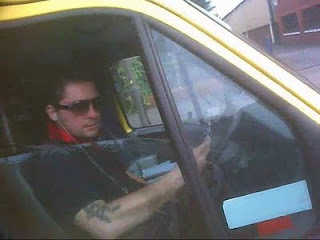 2. taxis can be dealt with by emailing your council taxicab oversight group. Private vehicles are trouble, especially school parents. At the school your kids go to. That was a great race from finish to end. It was really fun to watch.